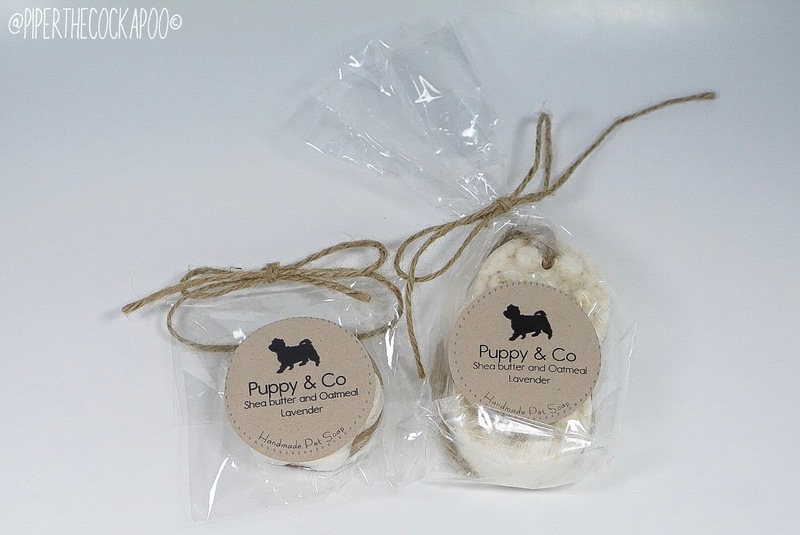 Piper was lucky enough to get her paws on some of Puppy & Co’s natural soap bars. 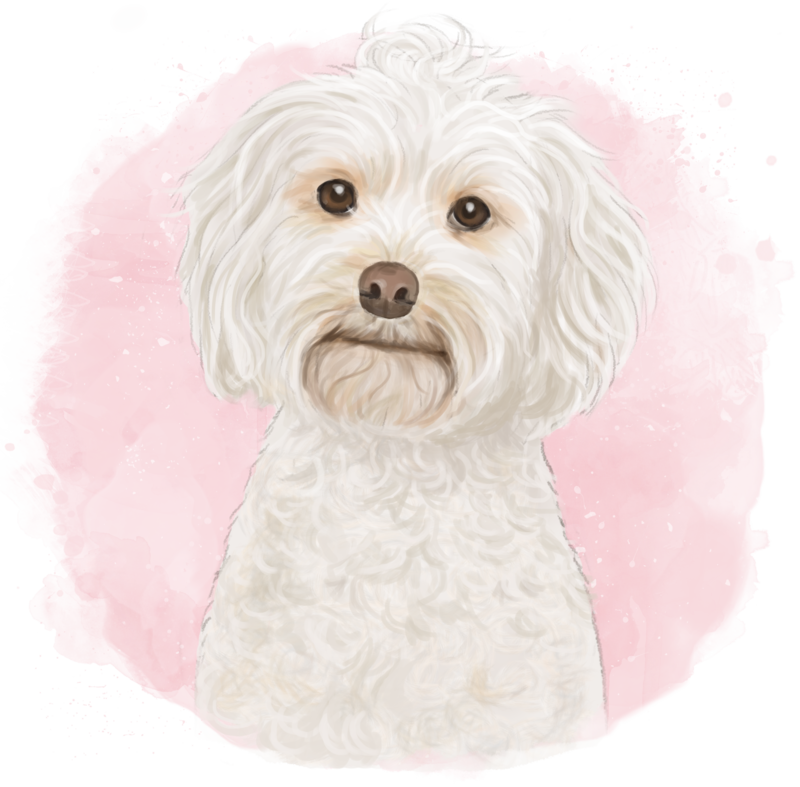 They haven’t been in business too long, so we were exciting to be one of the 1st to test & review their products. 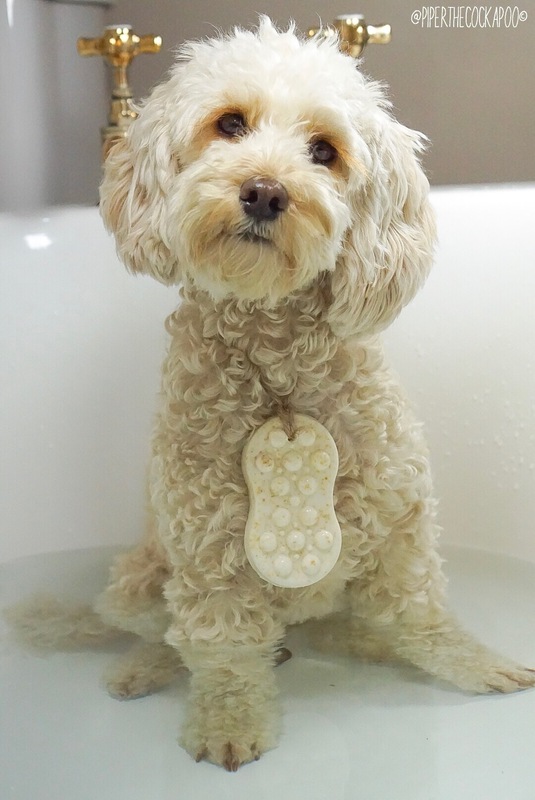 We were sent a Small Paw Print Shaped Soap & a Massage Bar to try. Both are made from only natural & organic ingredients; including shea butter, oat meal, almond oil, vitamin E oil, lavender oil & tea tree oil. The first thing I noticed when I opened the soap from the packet, was how fresh it smelt. The clean, sharp aroma was a pleasant surprise & established the quality of the product. The two styles of soap are different in size. 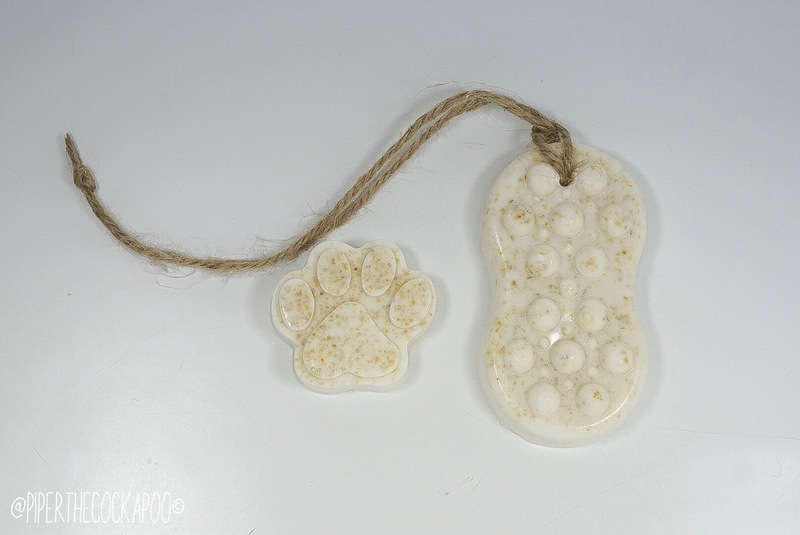 The smaller, paw print style is perfect for travelling as it’s bijoux and wouldn’t take up much room. The ideal sample size or for a gift. 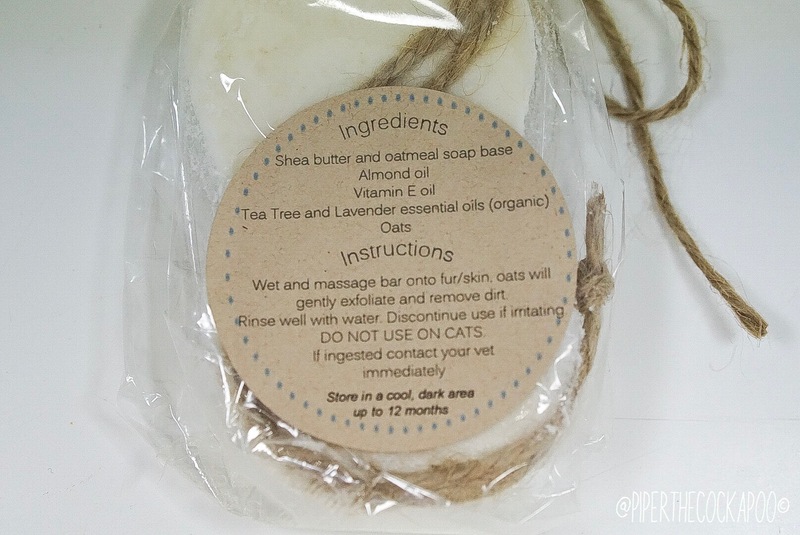 The larger, massage bar is for your more frequent use. It has a rope tied around it, so you can securely attach it your wrist and not have to worry about dropping it. 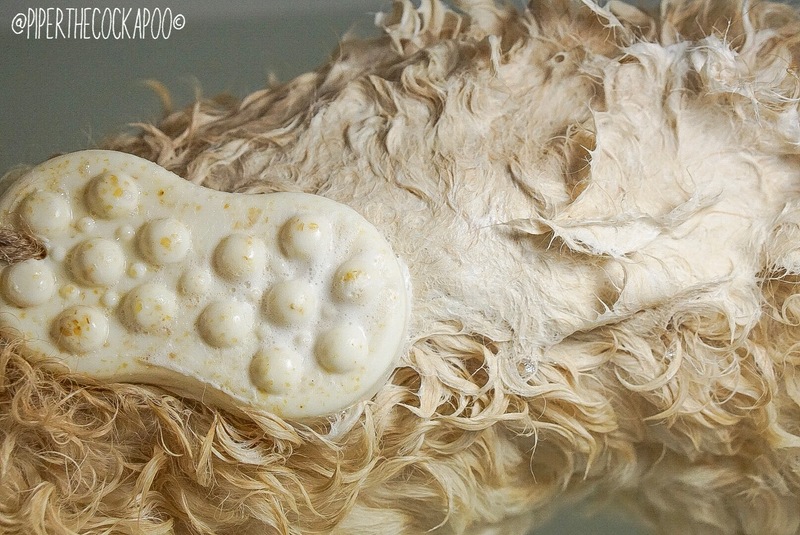 The raised bumps really help to work the soap into the fur & Piper really enjoyed the massage added bonus! The soap lathered really well. 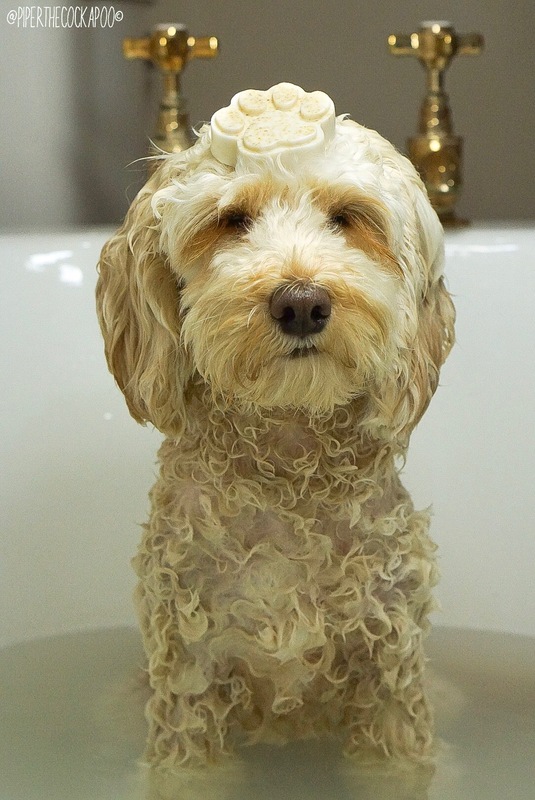 It didn’t take much rubbing at all for it to produce an abundance of suds. You could then spread the bubbles around the body. 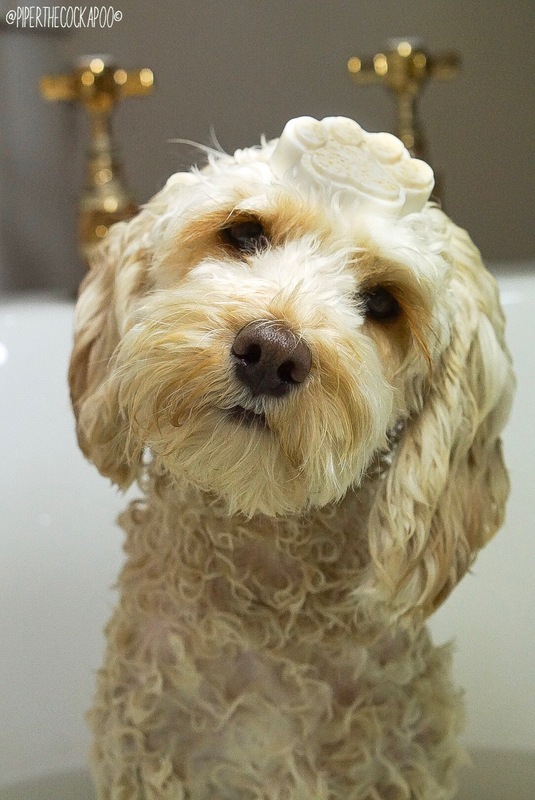 A little bit really did go a long way- as you couldn’t even tell the soap had been used after we had finished bathing. 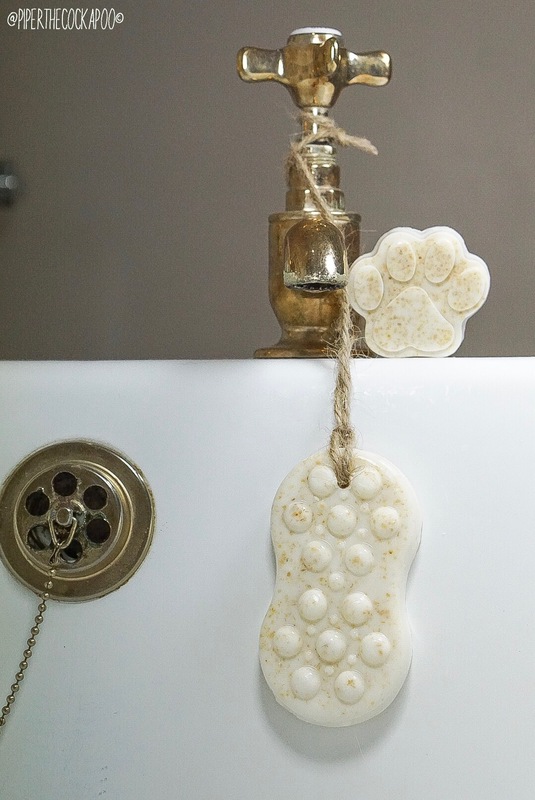 It’s evident the soap will last a long time & you get more than your money’s worth. 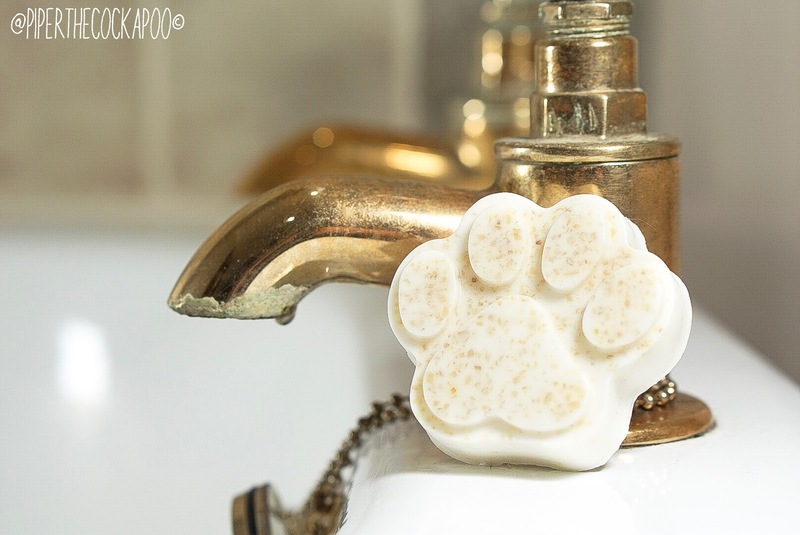 Puppy & Co. claim that the oats in their soaps help to exfoliate the skin and fur, gently removing dirt & grease easily. After testing we are happy to say that this is indeed true, as the water was a very mucky colour once we had finished (gross but good I guess?!). I would happily recommended these products to anyone. They work really well, are super affordable & are long lasting- a win win situation. 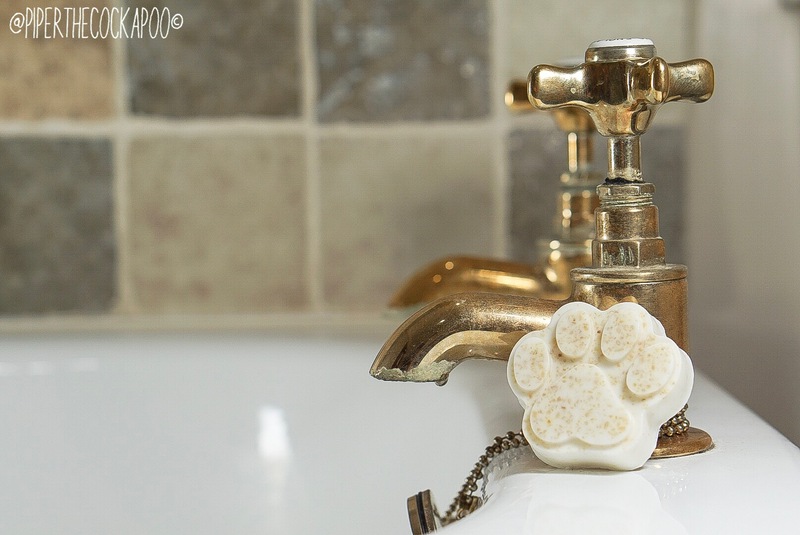 We love all things natural & it is great to be supporting a small business. You can buy all their products via their Facebook page. 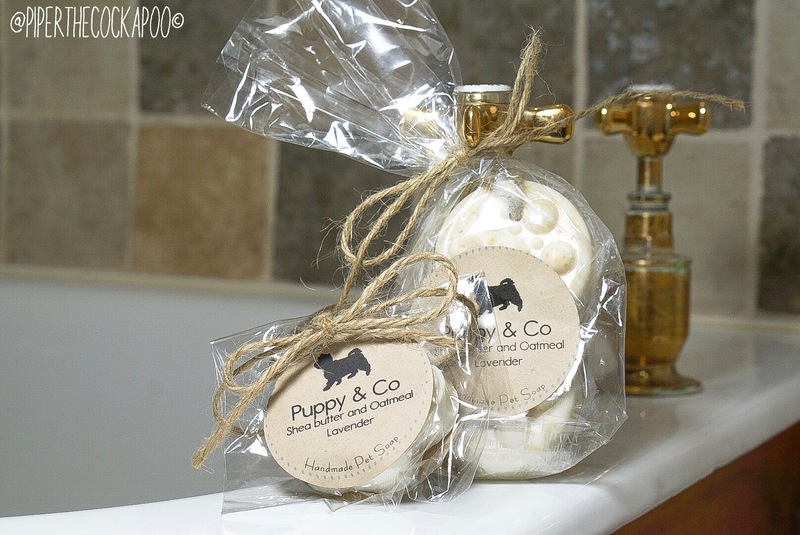 Puppy & Co currently have some limited edition peppermint soaps for sale too. The perfect scent now that winter is approaching! Previous Post Piper Turns 2!